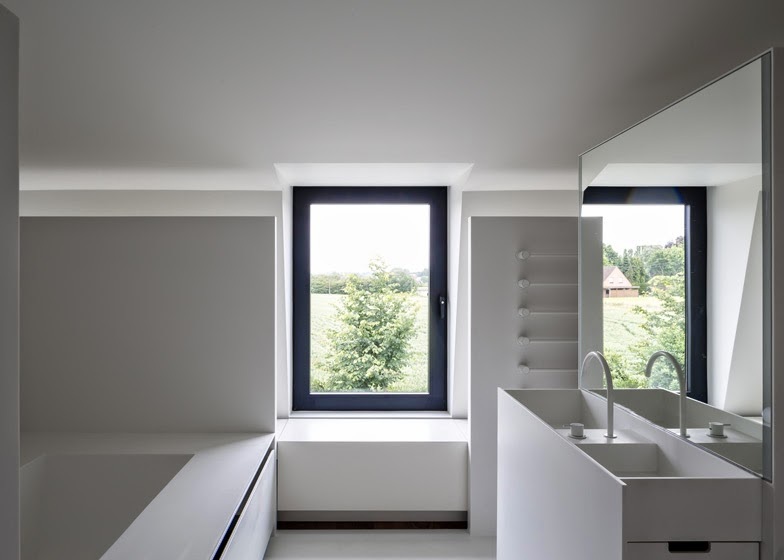 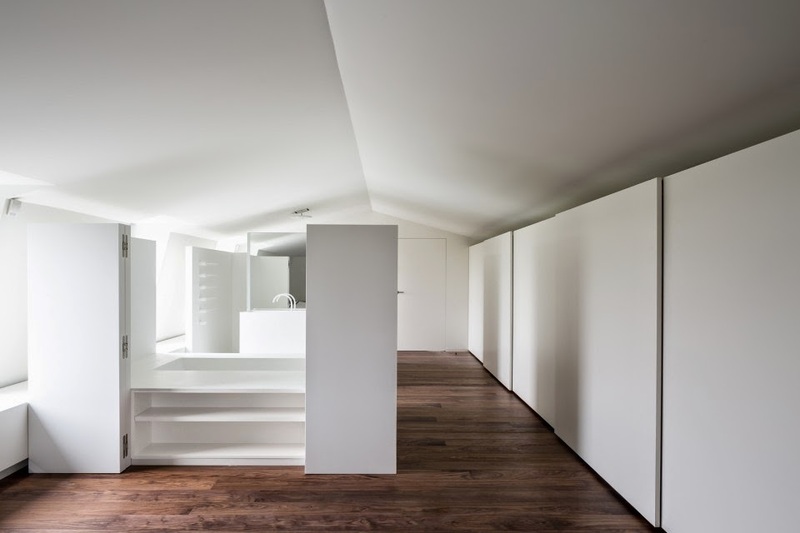 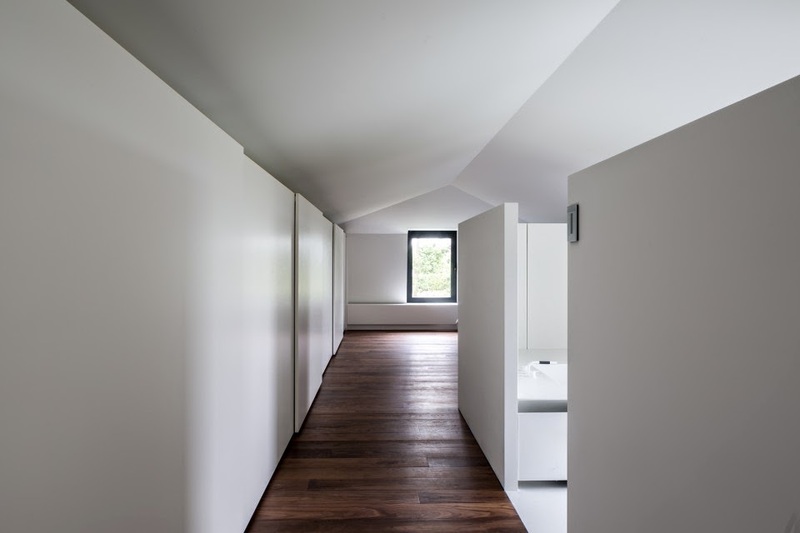 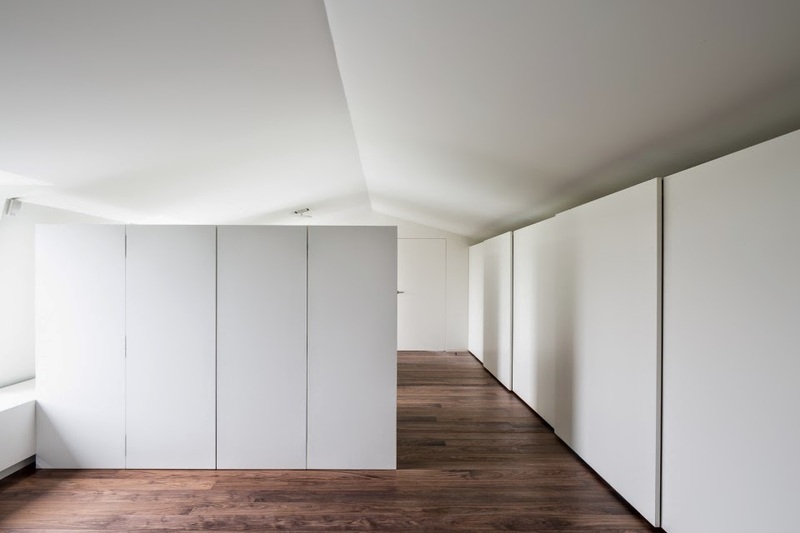 Interior designers of Kortrijk design studio Five AM recently designed a minimalist bedroom suite at a house in Bellegem, west Belgium, following the extension to the roof level by collaborated local studio Arch-id. 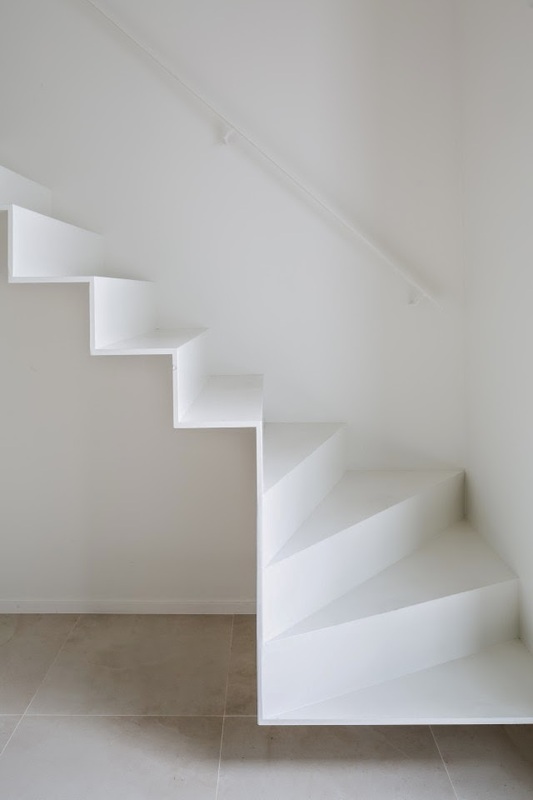 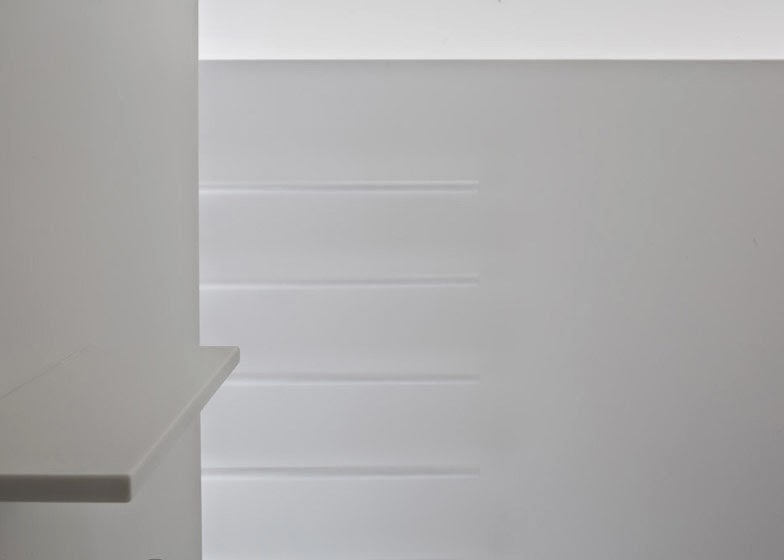 A thin metal staircase leads to the renovated attic space, featuring low walls, all white surfaces and beautiful, clean lines. 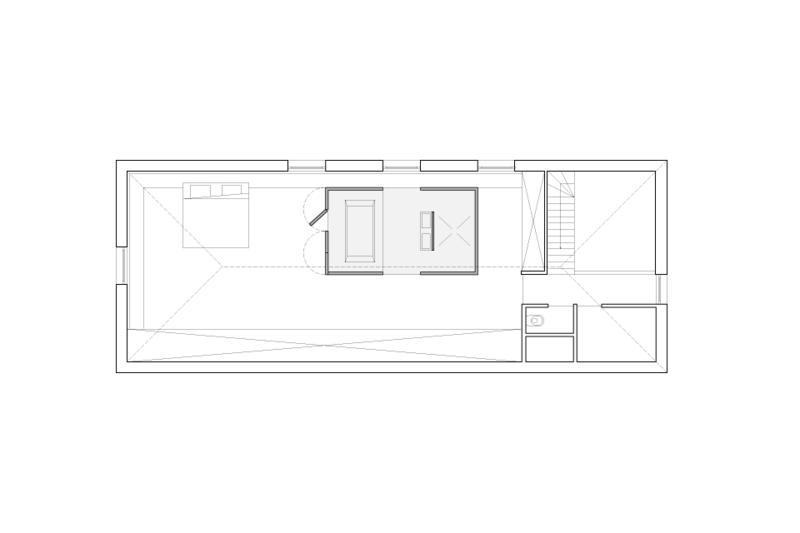 Designing a bedroom suite with attention for sense of space, without losing the privacy of the users.The result is a central isle, with low walls, where the bathroom is located. 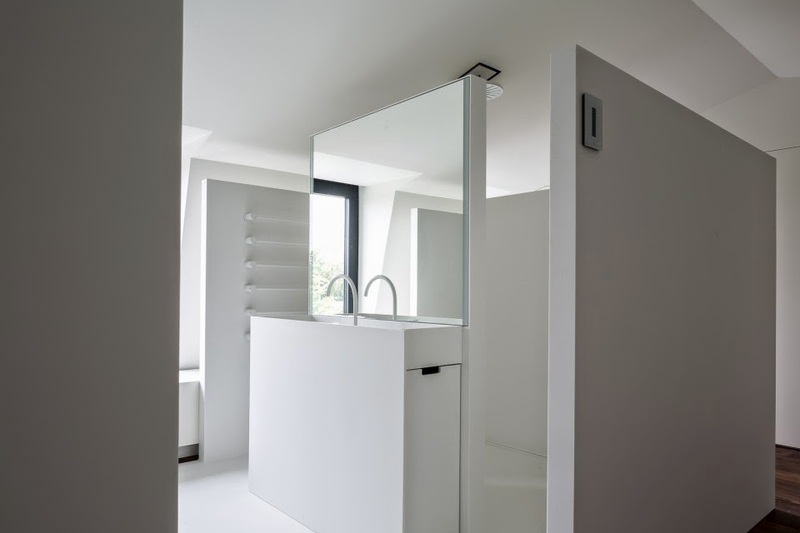 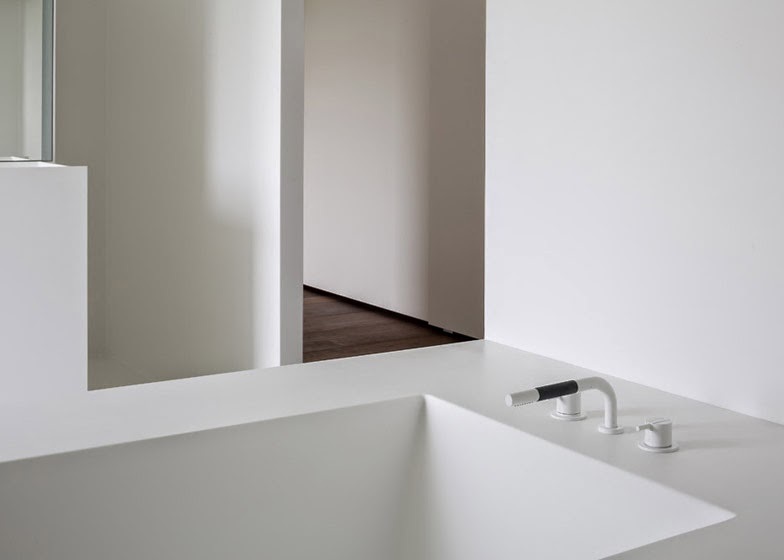 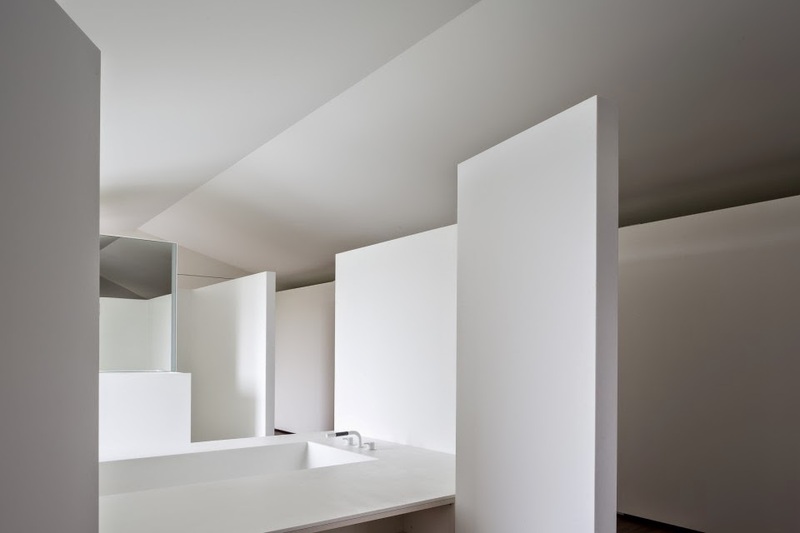 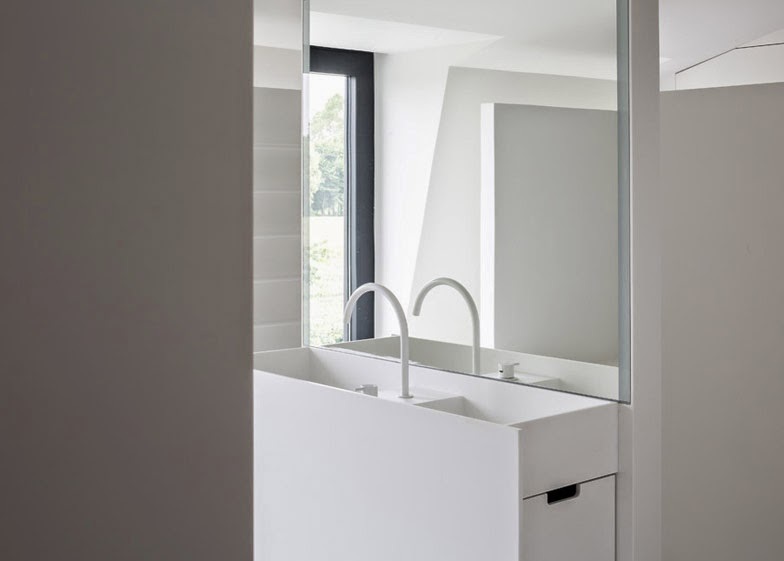 The entire bathroom was produced in 'solid surface', which ensures seamless surfaces. 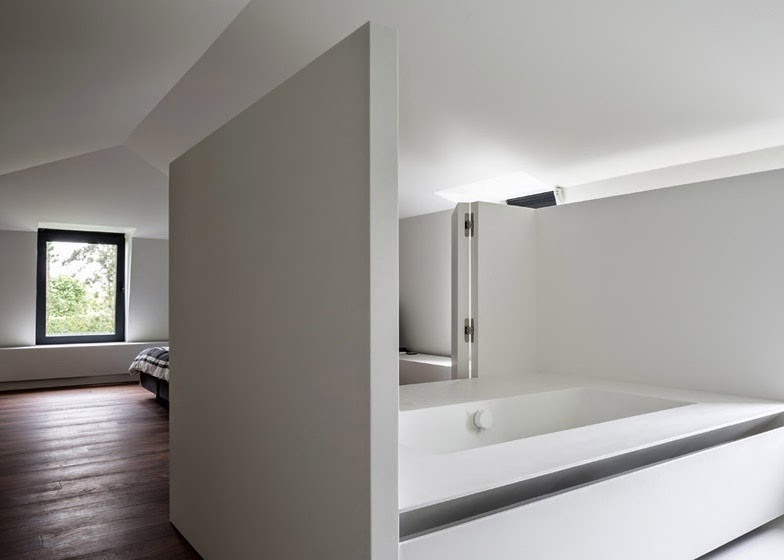 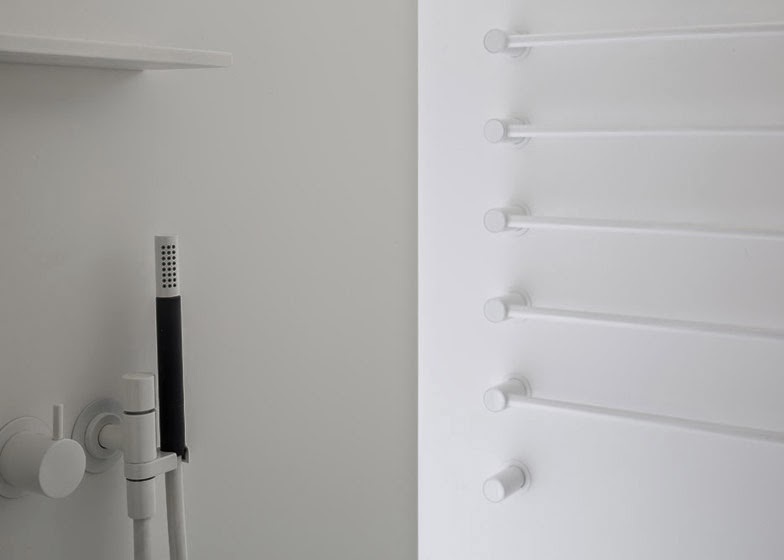 The sidewall can unfold which makes interaction between sleeping and bathing possible.